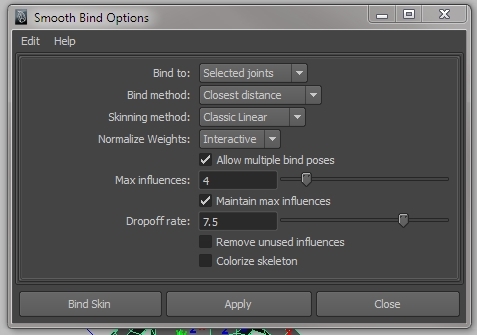 This tutorial will show you the basic workflow to export a skinned geometry to Sandbox3. To install MayaCE3, follow the instructions on this page. The latest CryEngine 3 FreeSDK. The geometry is a polygon mesh. The skeleton is a simple FK skeleton. Note that you can save your scene outside of the “…/Game/” directory, as long as the export path itself points to a directory within the “…/Game/…” hierarchy. Don’t forget to assign a shader to your mesh: In this case I have created a Lambert called “mouse_SHD” and assigned it to the geometry. Note: You must create a specific shader for your geometry. The default Lambert won’t work for our purpose, since you cannot rename it! Note: In the previous versions of the exporter the character used to have to face the -Z axis with the +X axis to its right. 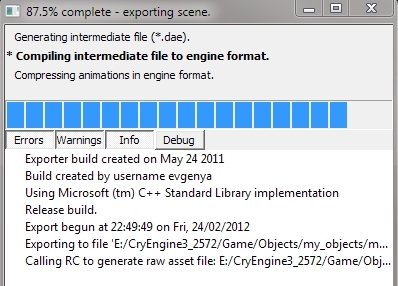 This is no longer the case in the latest version of the CryEngine 3 FreeSDK. If you intend on your characters to benefit from the procedural LookIk that allows the character to automatically turn its head towards its target, then you should make sure you’ve got the following joints in your spine: Bip01__Pelvis, Bip01__Spine, Bip01__Spine1, Bip01__Spine2, Bip01__Spine3, Bip01__Neck, Bip01__Head and Bip01__Look. Pay particular attention to the way the foot and the leg are setup. In order to benefit from the automatic IK foot placement, make sure the foot joint is a direct child of the knee joint, and the knee joint is a direct child of the hip joint. You can use twist joints the way you like. If the feet of your character instantly flip in a weird angle, then the foot’s -X axis probably doesn’t point straight down to the heel joint. You can test the IKs by checking the “LFootIK” box, then pressing the 4, 6, 8 and 2 keys on your keypad. CTRL+8 and CTRL+2 to move the IK up and down. Those key combinations are also used to rotate the ground plane. This will select the offending vertices and you can then prune their weights with a very low value (0.001). And that should take care of the problem. Note: The main root joint (located on the ground) should NOT be part of the skin cluster. The physics proxies are simple mesh shapes that get parented to the export skeleton. There are 8 shaders that should be reserved for the physics proxy of your character. They should be placed first in the material group, followed by the other shaders used by your character. Note: Don’t try to add shaders for the hands, as they’ll cause the compiler to complain about not being able to find some sub-materials. That’s the directory where the character (the .chr file) will appear. In my case it is “E:\CryEngine3_2572\Game\Objects\my_objects\mouse”. Note: This path MUST point to a directory located within in the …/Game/Objects/ directory. At this point you can right-click on “Export Path” and choose “Add To Quick Paths” in order to store that path for reuse later on (even in a different scene). Click on “Save Preferences“. This will create the CRYEXPORTSETTINGS node, which is a group used to store useful info on your scene setup. Never delete that node! You also must make sure the Crytek compiler is correctly recognized. 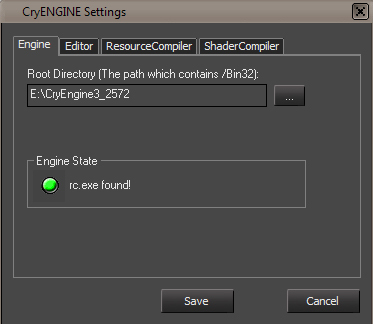 Click on “CryEngine Settings” and point to the base directory of the CryEngine (the folder where you copied the CryEngine 3 Free SDK). 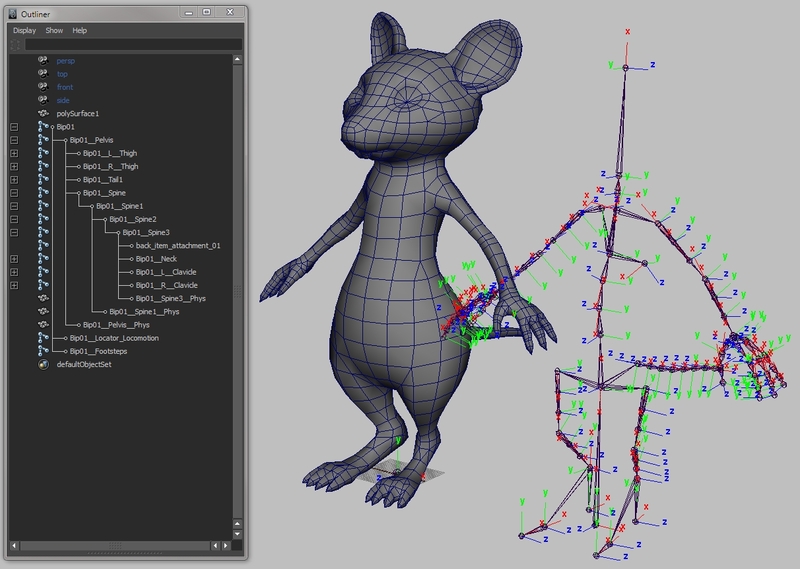 The compiler will interpret your Maya model into a format that the CryEngine can understand. Select the geometry and click on “Prepare For Export“. 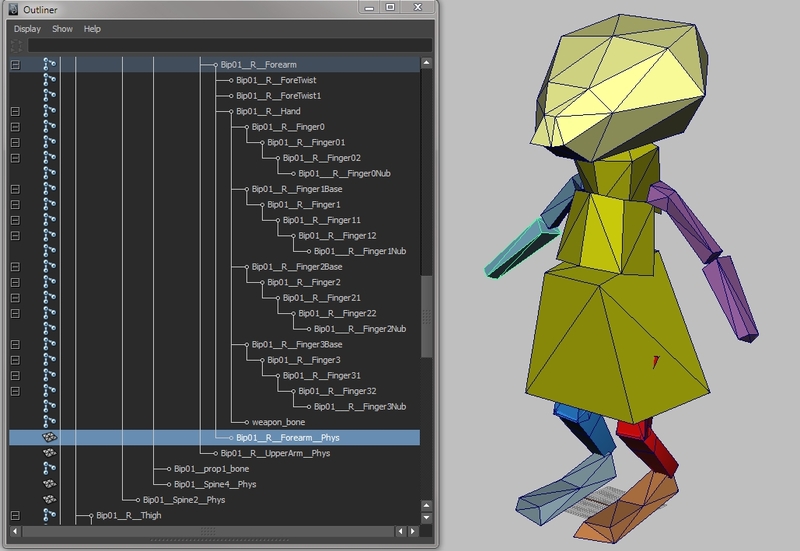 This will create the appropriate hierarchy and material group for your model. Note that the <AnimationList> element is empty, besides the path to the future animations. 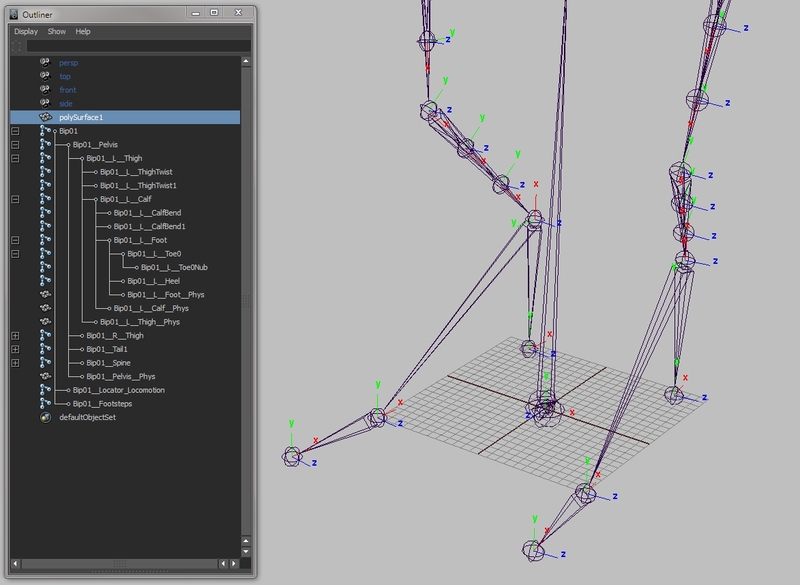 That’s alright, as MayaCE3 will fill up the animation list as we export them (in the next tutorial). Save this file to the same directory you’ve chosen to export your character to (cf. Step 1), with the name [your character name].chrparams (in this case “mouse.charparams”). 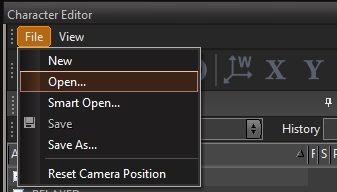 Select the CryExport node and click on “Export Selected Objects“. In fact you may get warnings about the “working unit” which should be “Meters” instead of “Centimeters”, or the FPS needing to be NTSC (29.97) instead of “Movie” (24 fps). But you can actually safely ignore those. Just click on “Ignore” in front of each warning, but don’t close the window itself! If you do, it will just pop up again and you won’t be able to export anything. Note: If the line’s background color is red instead of yellow, then it means you won’t be able to ignore the problem and instead will HAVE to fix it. Just click on “Export Model” again (with the Cry Validate window still up) and the model will be exported. The compiler window will briefly pop up and vanish once the export is done. If it doesn’t disappear on its own, then it means there’s something wrong with the model. In that case, try to make sense out of the error messages! The important files are the first two ones. The others are log and intermediary files (don’t worry about those). 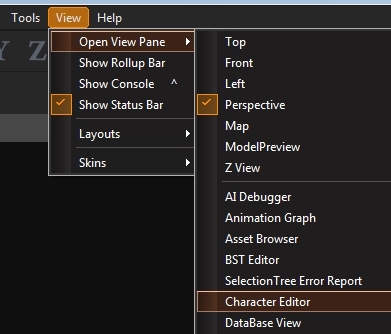 Open Sandbox, then open the Character Editor (from the View->Open View Pane sub-menu). Then load your character by clicking on “File->Open“. 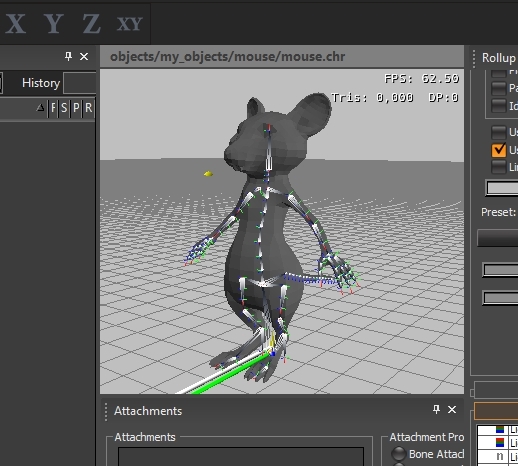 Go to the export directory and choose the .chr file you just exported from Maya. If there’s no problem the file will load and appear in the preview window. Here I went to the Debug Options part (in the lower right corner of the Character Editor) and checked the “Show Skeleton” check box to make sure everything exported fine. At this point you can also check if the LookIK works by checking the corresponding check box. The character should now follow you with its head when you move around with the camera. Yes, absolutely. In theory that should work.